In the first part of this series of articles we summarized which nutrients are needed by aquatic plants in general. In part two we showed you how to apply this knowledge to your own individual aquarium setup. This classification is based on the technical equipment of the aquarium as well as on the plant species and the biomass, and allows the categorization of nutrient consumption (green = weak, yellow = moderate, red = strong). In the third part of this series we will delve even further into the nutrient parameters and the optimization of a fertilizer system for a plant aquarium. In general a distinction needs to be made between nutrients whose concentration needs to be kept at a certain level at all times (among them CO2, nitrate, potassium and magnesium) - and nutrients that do not require a constant level (like iron and phosphate). The concentration of the latter might fall to non-detectable by water tests over the course of the week. 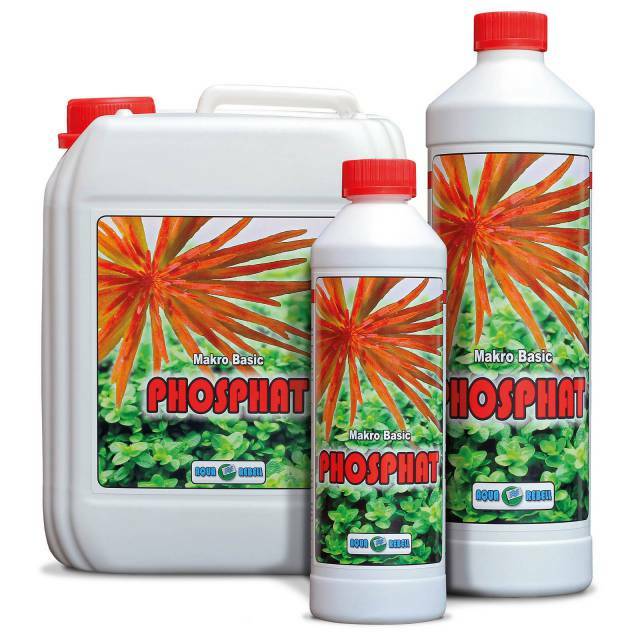 This does not necessarily have to have negative consequences, since the plants can store nutrients such as phosphate quite well. If there are no deficiency symptoms and growth defects on the plants, it is not necessary to maintain permanently measurable iron and phosphate concentrations. 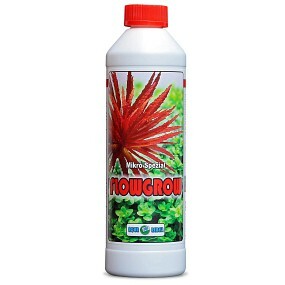 Based on the categories and on the plant mass estimated with the help of the preceding article you can consult the Flowgrow Nutrient Calculater to get a recommendation for your fertilizing regimen. 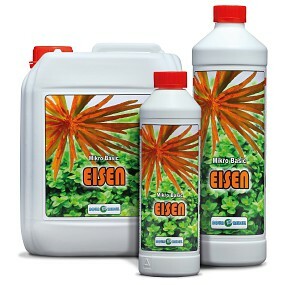 We recommend, in order to cover the supply of both micronutrients and macronutrients, the use of a complete fertilizer such as Aqua Rebell Micro Basic and a macronutrient fertilizer like Makro Basic NPK as a base for this regimen. The fertilizer dosage recommendation given by the Nutrient Calculator may be a starting point. You will still need to do some fine-tuning to adapt this regimen to your individual planted aquarium, though. Aquatic plants consume nutrients, but, depending on the element, in quite different speeds and quantities. From experience, nitrogen consumption in a densely planted tank with lots of fast-growing stem plants is quite high, whereas other macroelements such as potassium and magnesium are not used up quite as excessively. 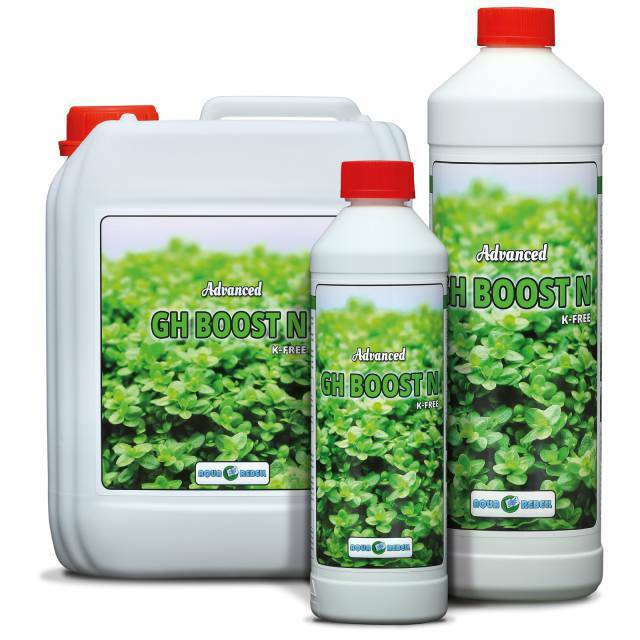 Therefore we recommend the use of an additional nitrogen source such as Advanced GH Boost N alongside Aqua Rebell Makro Basic NPK and Makro Basic Estimative Index in planted aquariums with a high nutrient consumption. 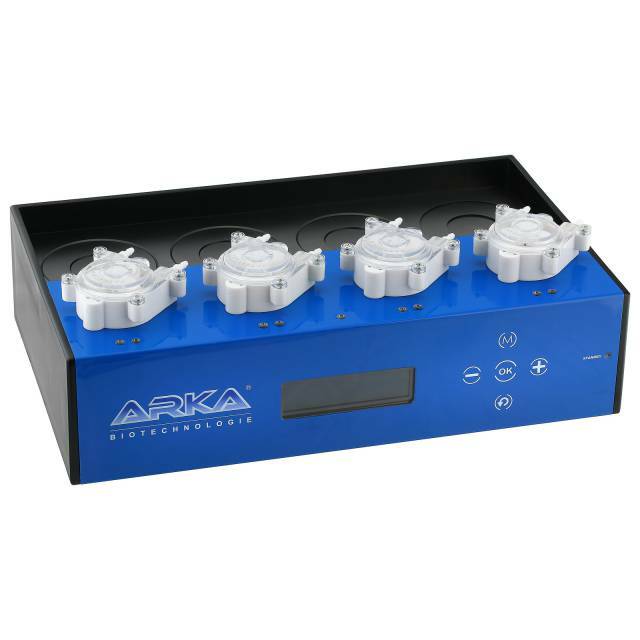 To determine the nutrient consumption, high-quality and easy-to-read water tests are necessary. Tests for the parameters nitrate, phosphate and iron are especially important. If necessary, you should also include tests for potassium and magnesium. In order to determine the weekly consumption, just measure the relevant parameters at the beginning and at the end of one week. The difference between the two values states the respective weekly nutrient consumption. To determine the average daily consumption, simply divide the weekly consumption by seven. The Flowgrow Nutrient Calculator helps you determine the most suitable fertilizer dosages to meet this consumption. An NO3 value of 20 mg/l was determined in a 100 l tank at the beginning of the week. By the weekend, the value had dropped to a mere 5 mg/l. The difference (20 - 5) gives us the weekly nitrate consumption of 15 mg/l weekly consumption, which means that your aquarium plants consume around 2 mg/l of NO3 per day. Now enter the volume of your aquarium in liters (100 in our example) in the nutrient calculator, choose the interval at which you want to add ferts to your tank (in our example: daily) and select the fertilizer you’d like to use under the nutrient "nitrate" (in our example Advanced GH Boost N). Then you can experiment with different dosages in the "Dose" field (press "Calculate" to process your entries) until a nitrate concentration of approximately 2 mg/l is shown in the "Addition" field. You can find an example calculation here. Did you use fertilizer during the measurement period? No problem, you can still optimize your fertilizer regime using the method described above. In this case, however, you'll nee to subtract the ferts you've added from the calculated weekly consumption. If the result is zero, fertilization and nutrient requirements are optimally adjusted to each other and balance each other out. 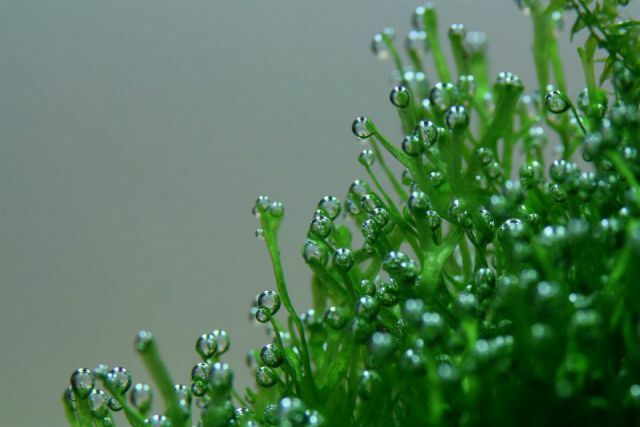 At any value greater than zero, the nutrient consumption of the plants is still slightly larger than what you add with your fertilizing regime, so you'll have to increase the amount of ferts appropriately. On the other hand, if the weekly consumption value is negative, the amount of fertilizer is higher than the consumption and should be adjusted as necessary. As a fertilizer starter pack we recommend a complete iron fertilizer, which, in addition to iron, also contains important trace elements (micronutrients). 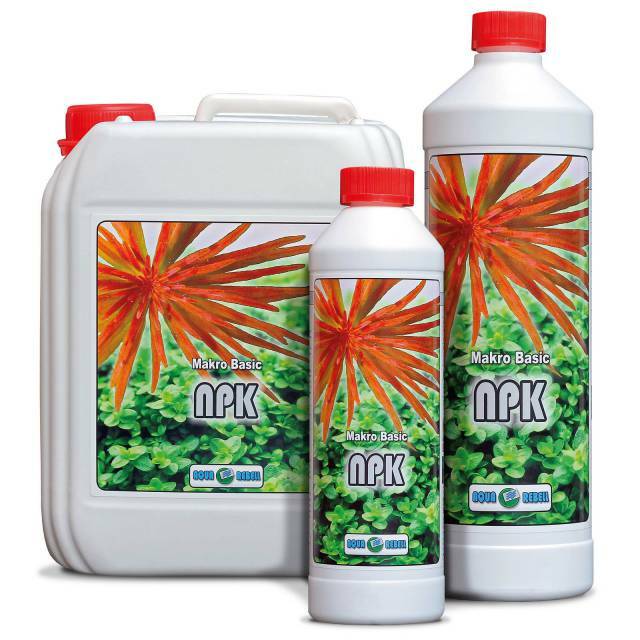 Pre-mixed NPK fertilizers like Aqua Rebell Makro Basic NPK or Makro Basic Estimative Index offer a coordinated amount of important macronutrients. For planted aquariums with a higher nutrient consumption a nitrogen-only fertilizer like Advanced GH Boost N should be added to the range of ferts. With this, you can specifically increase the nitrate content without influencing the concentrations of other macronutrients such as potassium or phosphate. The approach of using several individual components when it comes to macronutrients is much more flexible. 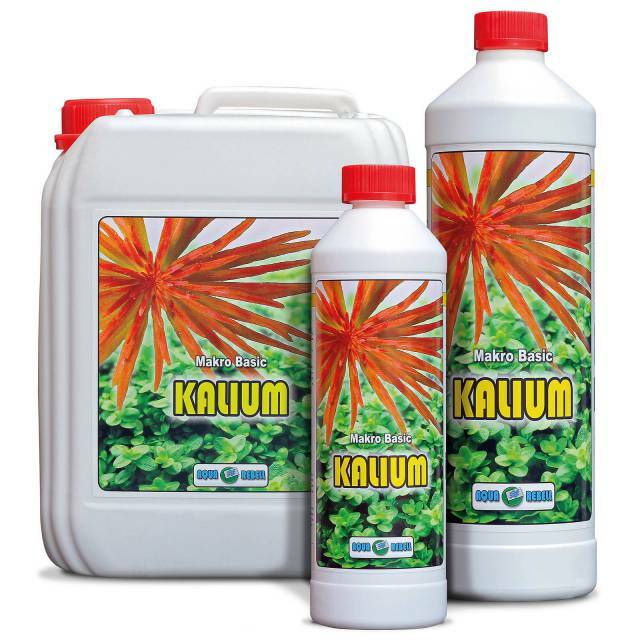 Apart from a nitrogen fertilizer like Advanced GH Boost N or Makro Spezial N, a potassium (e. g. Makro Basic Kalium) and a phosphate fertilizer such as Makro Basic Phosphat from Aqua Rebell complement the whole concept. With single-component ferts you can directly influence the content of nitrate, potassium and phosphate in your aquarium water. 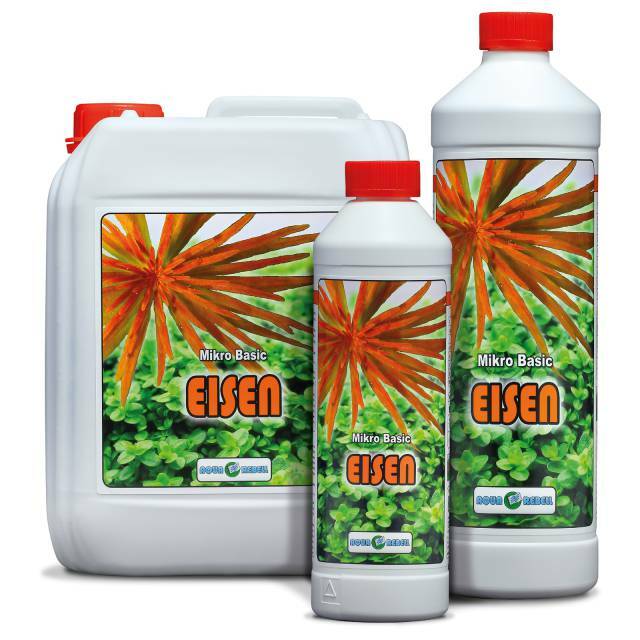 Whereas Mikro Basic Eisen is used for the weekly fertilization of the fresh water after a water change, for daily fertilization, Mikro Spezial Flowgrow is the way to go. 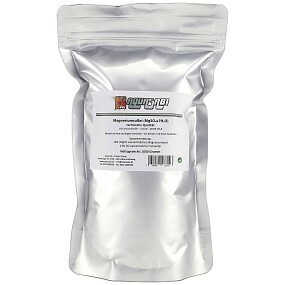 This is a complete fertilizer with very quickly available nutrients. Epsom salt for the optimization of the calcium / magnesium ratio (for exact directions, please go to the article in the link). Most aquarium keepers use tap water for their tanks. Water parameters may vary greatly, depending on the region and the provider. It is therefore all the more important to exactly know the parameters of the water from the tap and to include them in the fertilization calculations. Usually the water parameters are available on the websites of the respective drinking water suppliers. Automated fertilization by means of a dosing pump is a very convenient option when it comes to planted tank care. Such a dosing system usually has several channels. One fertilizer component can be connected to each channel for which the dosing quantity and the time of addition are set individually. Complete iron fertilizer and macronutrients containing phosphate should be added on different days in order to prevent any precipitation of iron phosphate. To improve the optical impression of the hose feed of the dosing unit, you can use glass CO2 equipment. In this article, we show you how this is done.